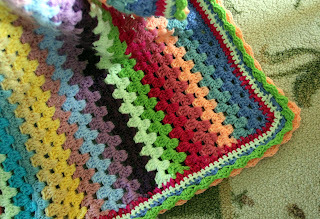 Priscillas: Granny stripe finish ..daisy grannies and booties..
Granny stripe finish ..daisy grannies and booties.. I made these little flower sandals to go with the dress and hat..they are adorable..hope the new mom likes the outfit. 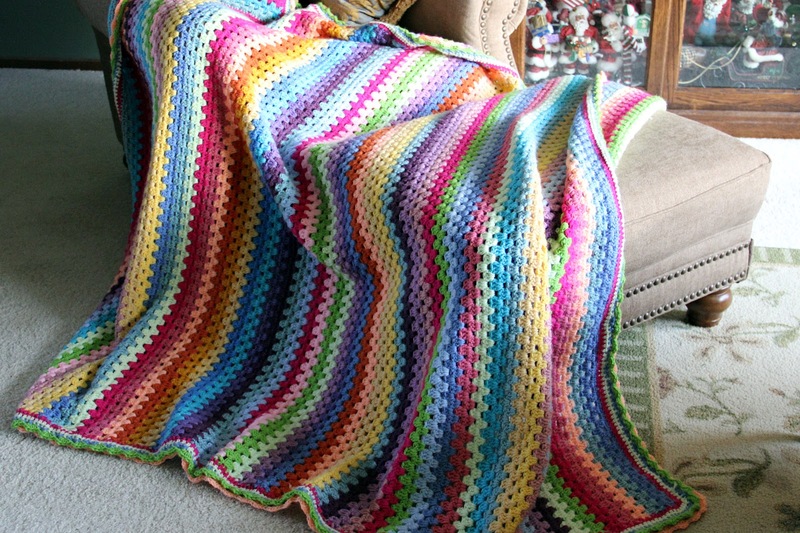 I finished my granny stripe on Saturday..Its big and so bright ! 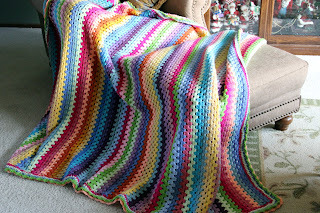 Love it !I used mostly red heart yarn with a few I love this yarn from hobby lobby. 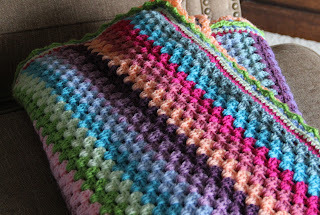 http://attic24.typepad.com/weblog/granny-stripe.html I followed the instructions for the granny stripe from the attic 24 blog. 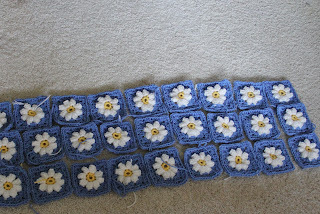 These are for my next blanket.. 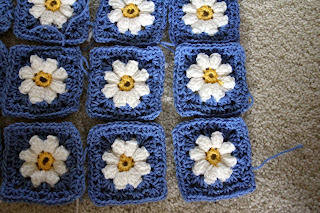 I saw these granny squares on pinterest, love the colors and they are so cute ! It will probably take me forever , but the cuteness is worth it. 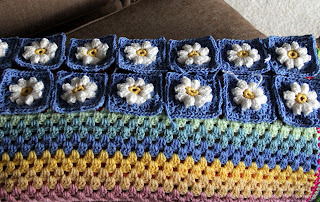 If you go to my pinterest crochet page , you will see the squares and can follow that link to the pattern.. Thanks for coming by ,love your nice comments ! Gorgeous...all of it. I am about mid way through a locking granny too. 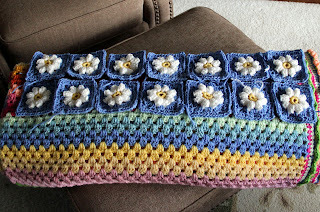 But I started it in cotton before I knew any better. 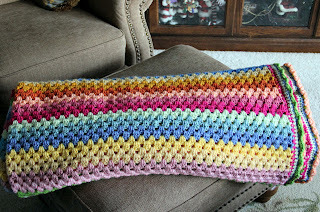 I am loving my "Bobble" stitch throw, from your pattern! I linked you when I posted it. Love, love and LOVE! 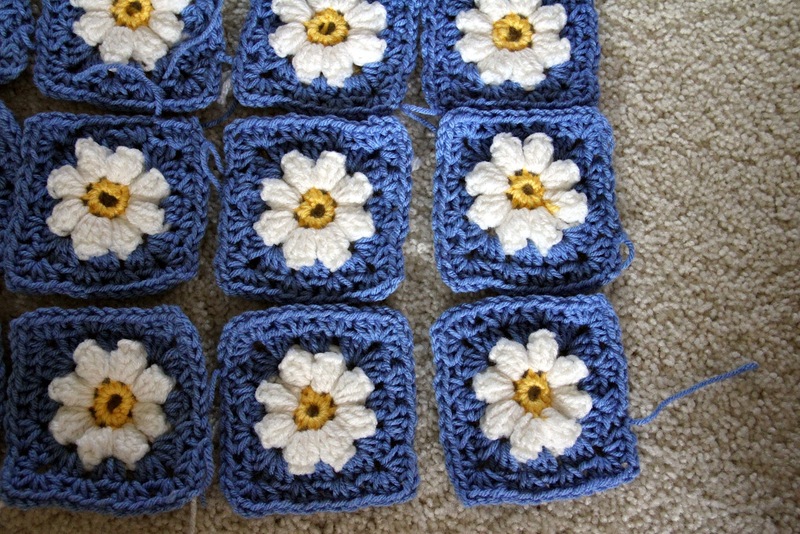 I've been looking at those daisy squares for awhile now! Good for you! And your colorful blanket...yummmmmm, delish! It makes me smile just to look at it! 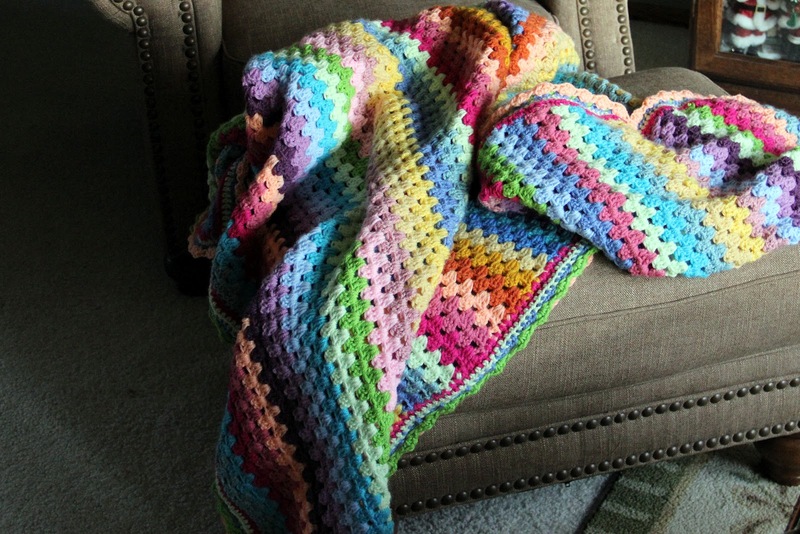 Your granny blanket is lovely! Nice work. 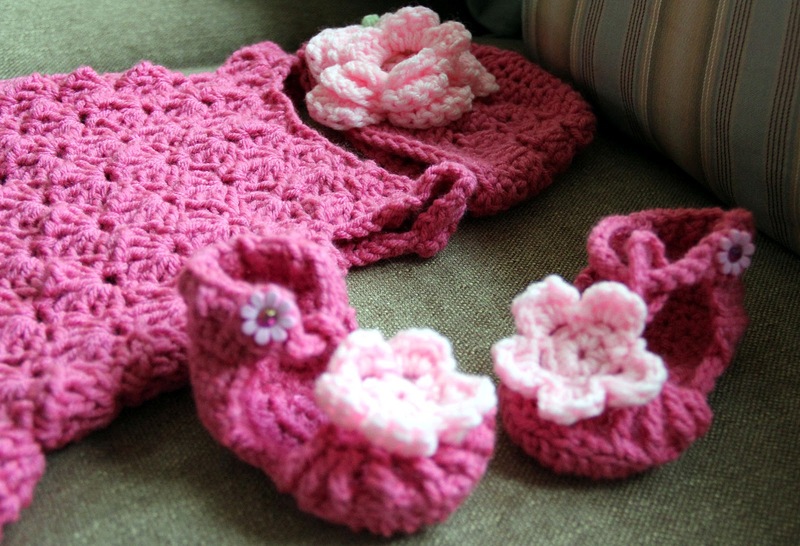 I'm lovin' the little set for the baby...the new mom will love it I'm sure. You are so talented! 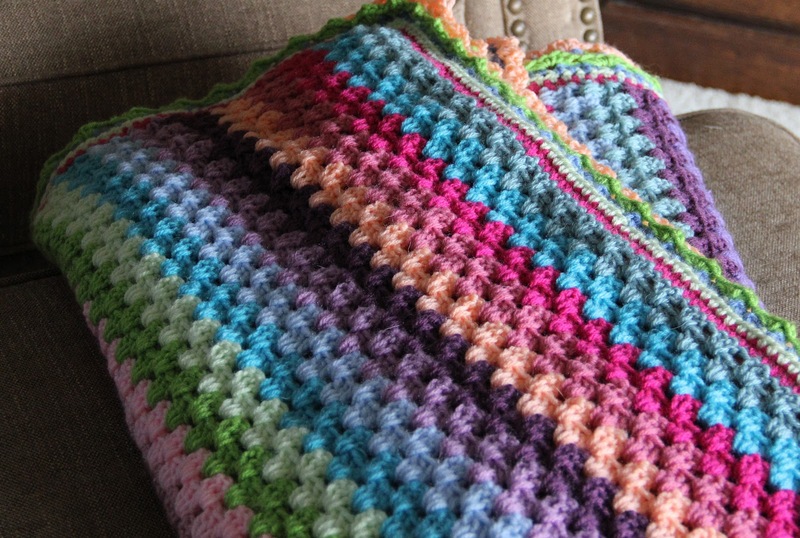 Your granny stripe is beautiful, I like the colours. 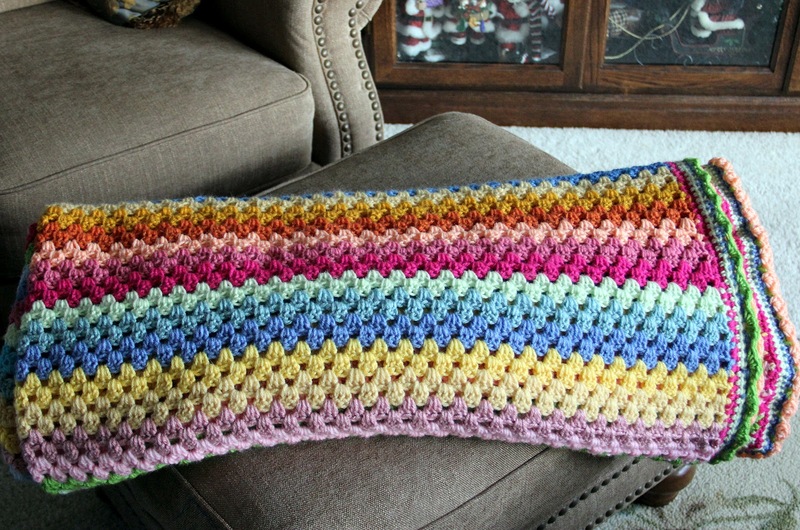 Loving all your projects. They are awesome. 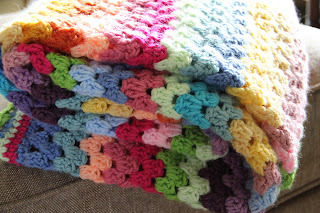 gorgeous blankets! 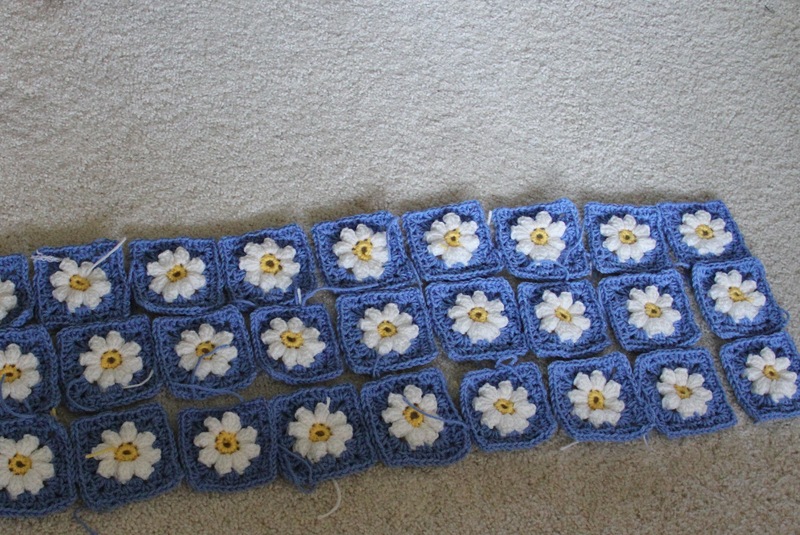 I've not yet completed one, so I am very jealous! 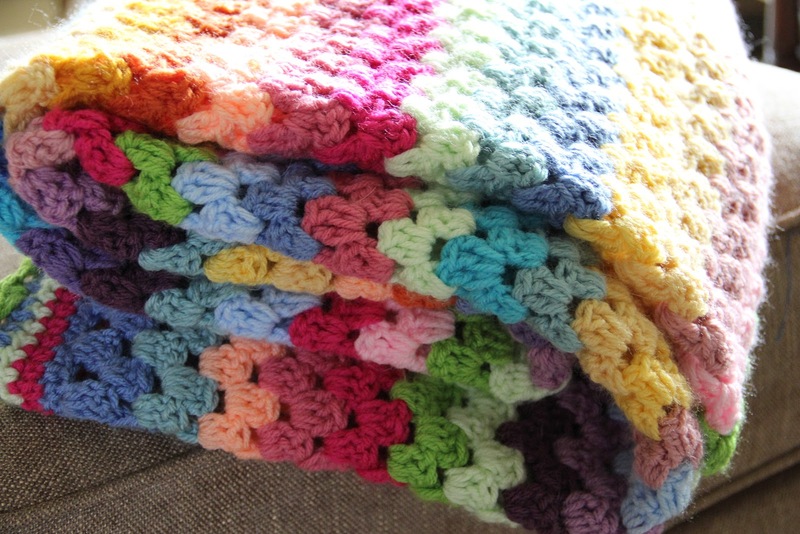 I just love that blanket--it's so colorful and festive for Springtime. 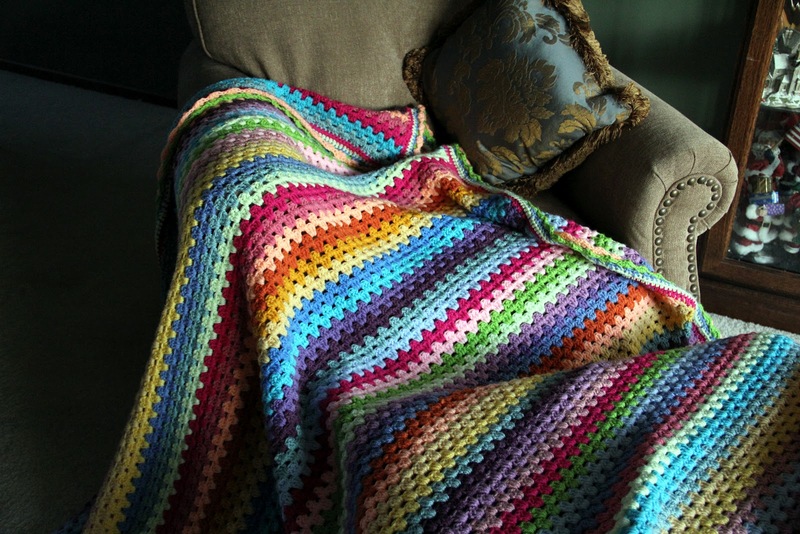 The granny afghan is gorgeous. I am wondering how you keep the tails of the yarn hidden? Mine always seem to work their way out. Do you knot and then cut close to the knot or leave a tail and weave in? Any tips would be appreciated! Where oh where did you get that pattern for that baby dress??? 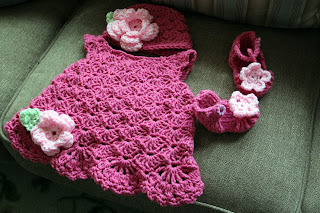 I MUST make one for my daughter!! The granny stripe is really vibrant and fun, but I love the dress and the grannies that you are working on from the Pinterest pattern, too!